Advanced Rockets Corporation has been granted a patent for the Advanced Rockets Vehicle (ARV) system design. The main technological breakthrough highlighted in this patent is the ability to operate within the atmosphere for prolonged periods of time and at very high Mach numbers; Sustained Hypersonic Flight. Othniel Mbamalu, President of Advanced Rockets Corporation, has stated, "the implications of this achievement are enormous across all of aerospace, enabling previously impossible applications and operational flight profiles." He continued with, "One of the biggest problems associated with flying at high speeds within the atmosphere is the associated extreme drag and aerodynamic heating. Our patent solves these problems and expands the possibilities of sustained atmospheric hypersonic flight." A major goal of launch systems and most aerospace programs is improving performance and reducing the cost of access. The technologies featured in this patent achieves this. 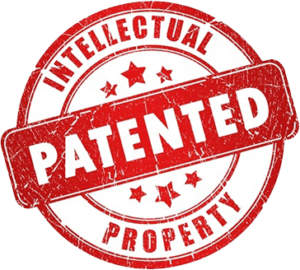 The ARV patent offers a novel mix of unique processes, techniques and architecture. The Advanced Rockets Vehicle (ARV) is designed to take advantage of the entire complement of the solutions identified in the patent in a single vehicle platform, although elements from the ARV design could also be applied to other operational launch vehicles and high-velocity projectiles. © 2018 Advanced Rockets Corporation. All Rights Reserved.